We know that you have high expectations and as an auto group we enjoy the challenge of exceeding those standards each and every time. As a result of our customer first attitude we have been awarded the DealerRater Dealer of the Year five years running in 2015, 2016, 2017, 2018, and 2019. Allow us to demonstrate our commitment to excellence! If you're in search of a new or used car, visit our Subaru dealership in Muskegon! We have a great selection of all the latest, exiting Subaru models and we are a leading Subaru dealer serving Grand Haven, Allendale and Holland MI area, offering excellent customer service, a friendly environment, attractive financing options, and great cars! Pick up the phone and call or stop in and say 'Hi' and see our inventory! Subaru has introduced a variety of exiting updates for the new 2019 Forester, Outback, Legacy, Impreza, Crosstrek this year. We are are also very excited about the arrival of the All-New 2019 Subaru Ascent SUV at Subaru of Muskegon! At our Subaru dealership we strive to bring you low prices and reliable new and used cars. Even if you're not looking to purchase a new Subaru, we have an impressive selection of used cars in Muskegon. Subaru of Muskegon is a used car dealership that has the large pre-owned vehicle selection you've been looking for. Whether you need more storage room, more engine power, or a variety of advanced-technology perks, Subaru of Muskegon will work hard at getting you into the perfect used car for you! We will help you search all over the greater Wyoming MI area to find the used car, truck or SUV you desire if you don't see it on our dealership lot. Just use our CarFinder tool to let us know what type of used vehicle to keep an eye out for. If you're like the majority of drivers who visit the new Subaru and used car showrooms at 1860 E Sternberg Rd Muskegon, Michigan, you need financing. We know...most people cringe at the word. But, at Subaru of Muskegon, serving Grand Haven, Allendale, and Holland MI, you don't have to. Our loan and lease wizards work their magic so that you get the best, hassle-free Subaru lease or car loans, on the new Subaru or used car you desire, that you could imagine. Why do we work so hard to get the terms and conditions you need? So that you can fully enjoy the inherent joy of buying a new or used car without anything getting in the way. 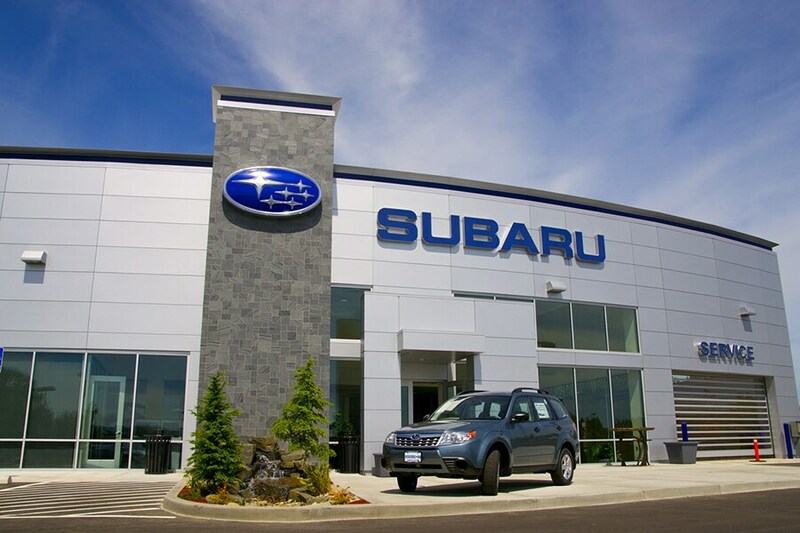 To round out the Muskegon-acclaimed Subaru products and services we offer drivers from Grand Haven, Holland MI, Allendale and beyond, Subaru of Muskegon also provides a comprehensive menu of Subaru services and genuine parts. That means Subaru of Muskegon has you covered, regardless of whether you need to take your Forester, Outback, Legacy, Impreza or Crosstrek in for a routine oil change or procure a certified oil filter, brakes or muffler for a do-it-yourself project. Quickly schedule Subaru auto service appointment online give us a call at (888) 814-5211 or follow our Dealership: Directions to swing into 1878 E Sternberg Rd Muskegon, MI 49444, during our regular business hours. And, if you are planning to do it yourself, visit our Subaru auto parts page first. Feel free to contact Subaru of Muskegon today if you have any questions or if you'd like to schedule an auto service appointment now. We look forward to meeting you soon and serving you for many more years to come. Quickly Find New & Used Cars or Schedule Auto Service in Muskegon!